Change up the mood in your company's next promotion with this awesome giveaway! 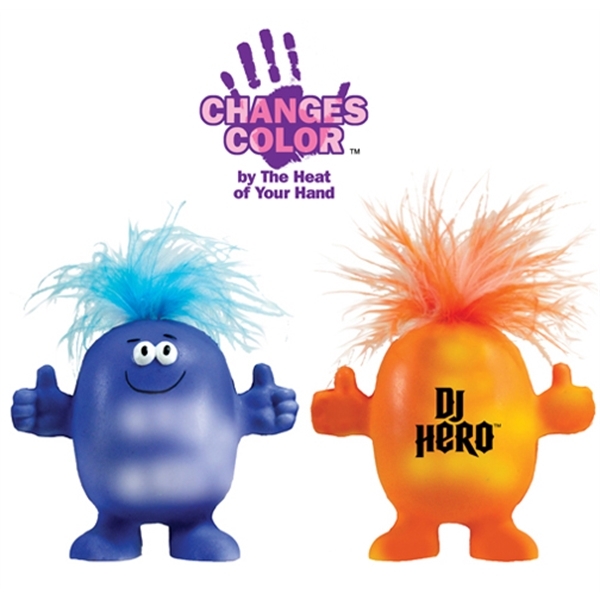 The Smilin' Mood Stress Dude is a stress squeeze material stress reliever that changes color with the heat of your hand. Add this cute item to a client gift bag. Note: Stress material may vary in color and density. This item size is 3" tall without hair, and is design protected. Warning. Choking Hazard. Small parts. Not for children under 3 years.